Electrical Aptitude Test is Conducted For Electrical Jobs! The use of electrical aptitude test has become essential for any electrical or electronic related jobs. Whether you are looking for your electrical career in the army, government, public or private organization, you are required not only to have certification from some recognized institution but also possess the working knowledge of electrical types of equipment and electronic systems. In most of the cases, you are required to go through training before handling complex electrical systems. Understandably, no employer can afford to train you if you don’t have any interest and aptitude for electrical field. Otherwise, they will expose their expensive pieces of equipment and machinery to the risk of damage and destruction. You may be given simple questions about algebra problems. 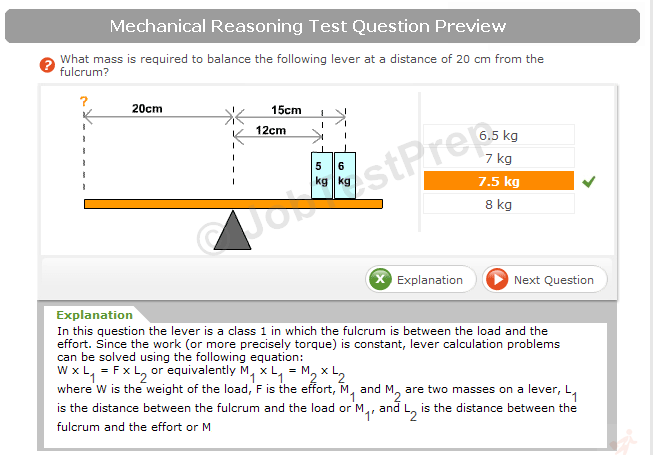 You are required to mentally calculate the prepositions to come up with a right answer. You need not memorize particular kind of formulas to be successful. However, you need to have their knowledge and alertness of mind to apply them correctly. Some people like to call such session tests as algebra aptitude test. Besides Algebra you may be given a paragraph containing simple instructions about electrical pieces of equipment, systems, and electronics. You will be required to read it carefully and answer the questions presented at the end. In many cases, you shall see multiple options to find out the right one. 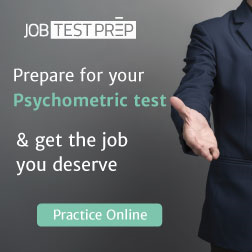 Your answers shall help the psychologists to determine your level of understanding and responding to simple instructions. Your inability to do this part successfully exposes your inability to handle with sophisticated machines. If you are looking for the job of an electrical engineer, you primarily need to get an electrical engineering degree from some well-recognized school. However, you shall also be subjected to electrical tests before you can get your recruitment letter. You will have to focus on electrical equipment, power generation systems, and power transmission tools, during your job. You will have to visualize, design, develop and test methods before their use. In some situations, you may be required to have control upon the field staff for repairing and maintenance of such equipment and tools. There is no significant difference between an electrical and electronic aptitude test except names and a bit of question setting. However, if you are looking for a job of an electronic engineer, you primarily need a sort of degree. Then you shall pass through a well designed electronic aptitude test. You are going to visualize, design, develop and test the electronics before they are allowed to be supplied to the customers. The electrical aptitude test is pre-condition for all electrician jobs. If you are looking for a job of an electrician, you will have to install, test and maintain electrical types of equipment and electronics. However, your focus shall be on the areas of which you have got particular knowledge. There are following essential categories of electrician jobs depending upon specialization of the job-seekers. If you are looking for an electrical job in industrial, commercial and public organizations, it would most probably be an inside wireman. You will have to handle with conduit wires, service panels, lighting, motors, and controllers. Your job shall have a variety of activities. You will have to handle fire alarm system one day and security system the other day. Most of the opportunities for inside wireman rise in electrical, power, automobile and chemical industries. Like inside wire-men, you are required to pass through an electrical aptitude test. Your training shall be focused on designing, installing and testing electrical systems in residential buildings. Earlier people wanting a career as residential wiremen had to work privately. Now certain companies have come into existence which employee residential wiremen to serve their customers. The electrical aptitude test being offered to the outside power lineman is mainly comprised of questions related to power system installation, power controlling and power transmission. You will have to work, in most of the cases, outside the building and even underground. Your primary role may be to handle the transfer to poles and then power distribution to the customers. Whatever electrical job you are looking for, you will have to face electrical aptitude test. You need not only to know your work but also exercise a couple of electrical and electronic aptitude tests to have a practical experience to handle them with ease. The statistics show that opportunities in the electrical and electronic fields have been popping up frequently for the last couple of decades. Many new industries came and died within years. However, an electrical field is still holding the ground and shall continue to provide jobs to the electrical proficient people in future as well. The scarcity of trained people has pushed up the earnings for electrical and electronic related careers. The American Labor Department claims that an electrician should be paid up to $20.00 for every working hour.